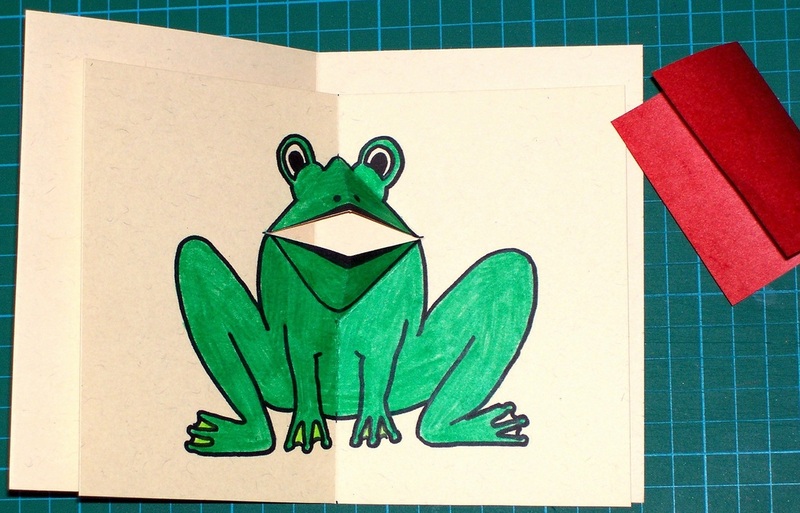 This cute card has a frog with a moving mouth inside. 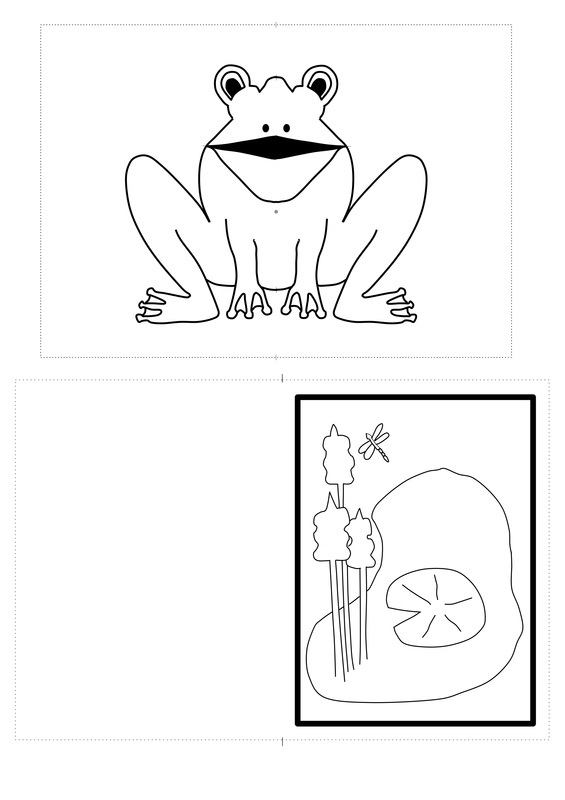 There are two printable template versions - Hand drawn and an updated computer drawn version. 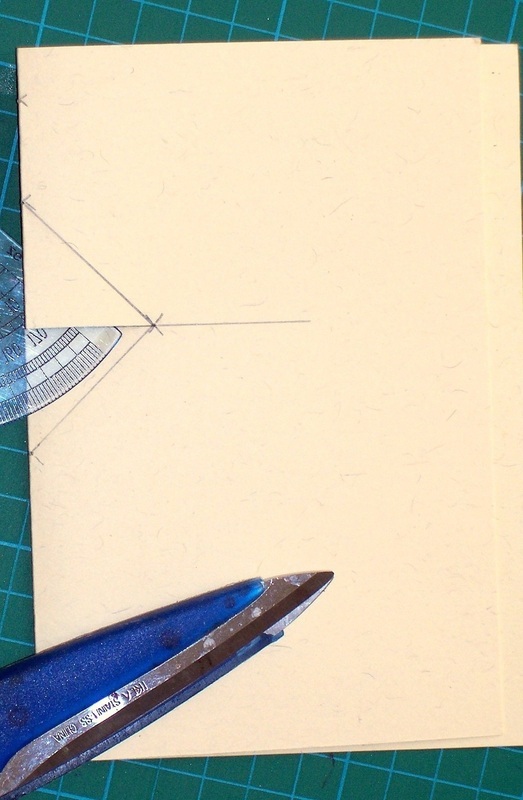 The instructions look long, but it's just because I've shown every step in detail. Print out the template onto a light coloured piece of A4 Card. 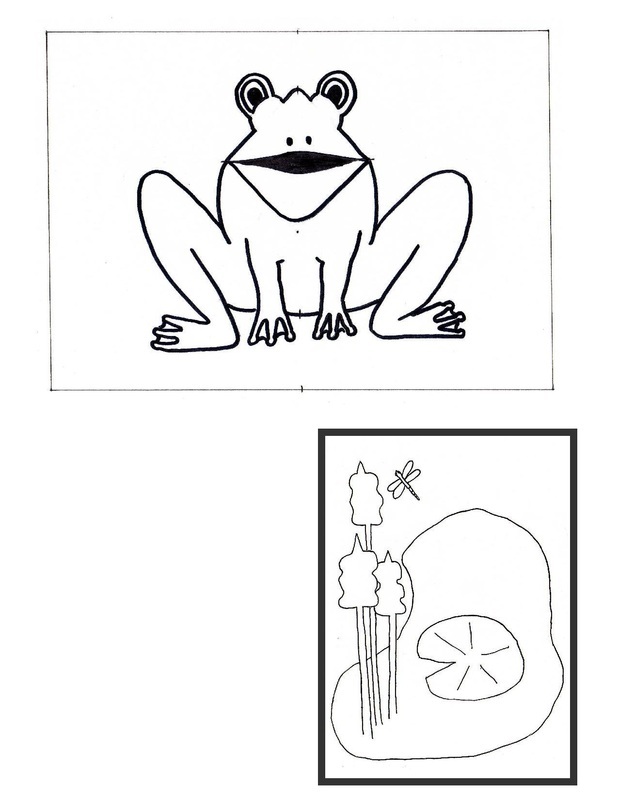 There are two templates to choose from: the original Hand drawn template and an updated computer drawn template. 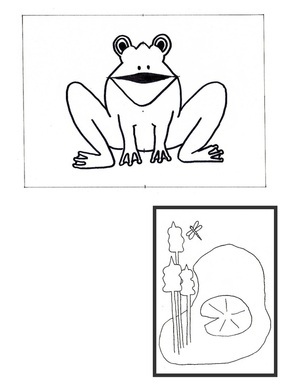 To print the template open the pdf document (below) or jpg image (right) and select print. 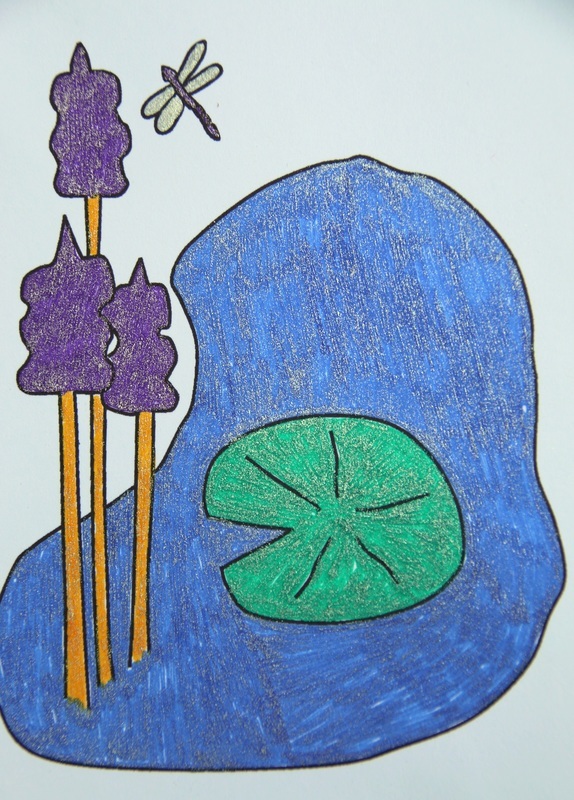 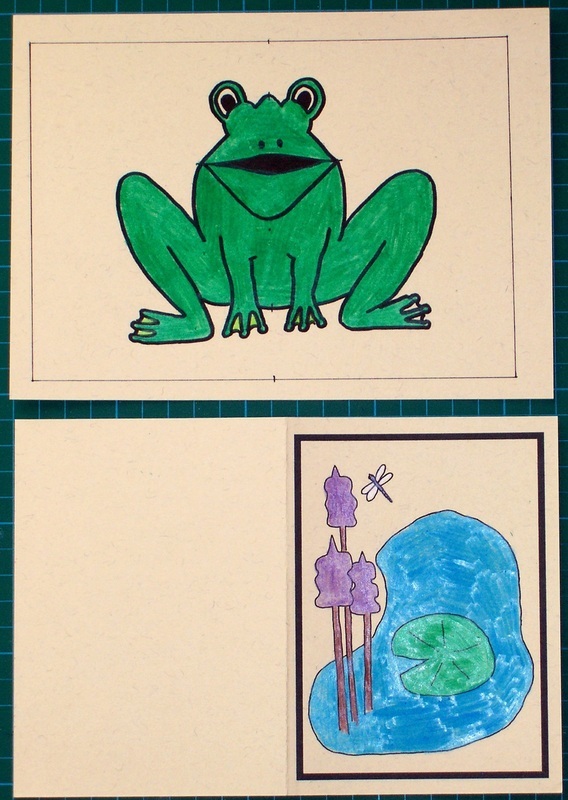 Colour in the Frog and the Pond scene. 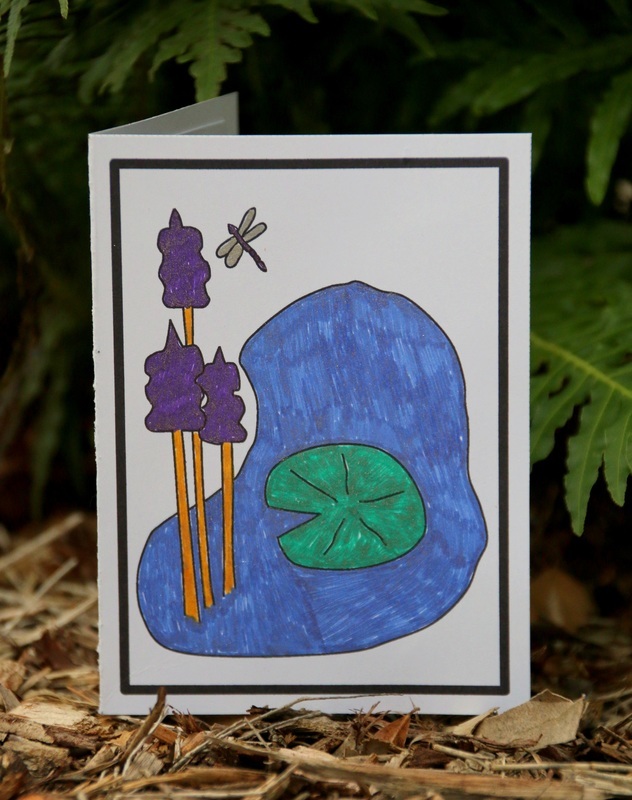 Then cut the paper in half above the pond scene so that your card base and inside image are now on different pieces of card. 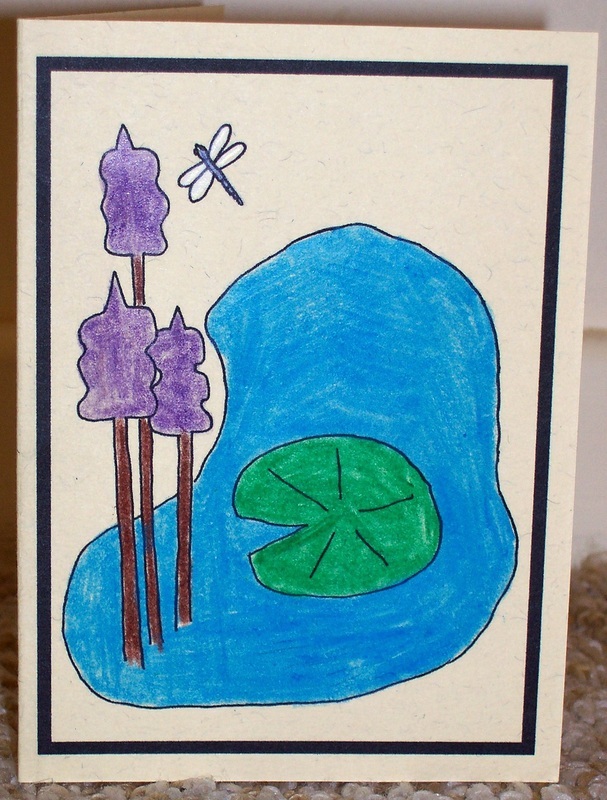 For the Hand Drawn Template : When you cut, leave an EVEN BORDER around the pond scene frame (as shown in the picture to the right). For the Computer Drawn Template: I've added in a border to cut the card to size, and small markers to show where to fold the card. 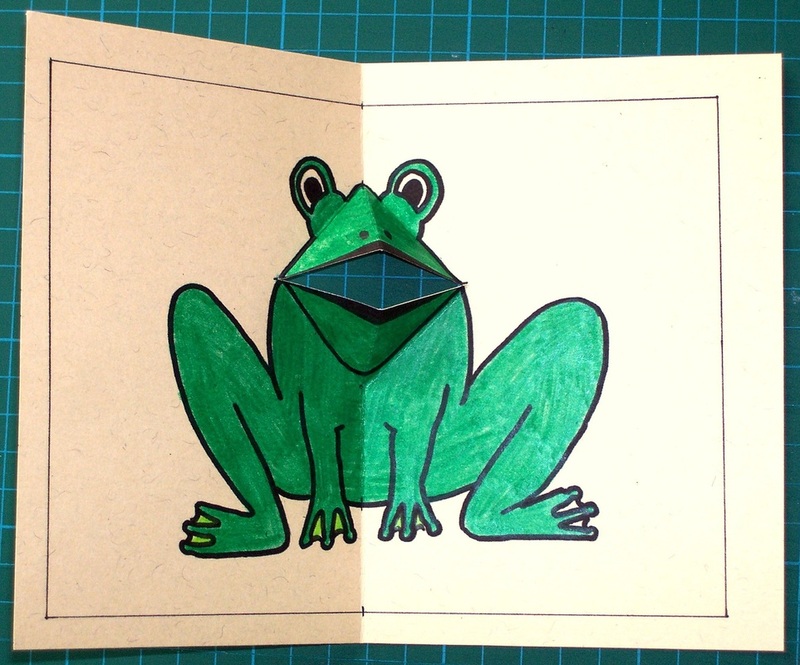 Fold the base card with the pond scene in half, creating your card. 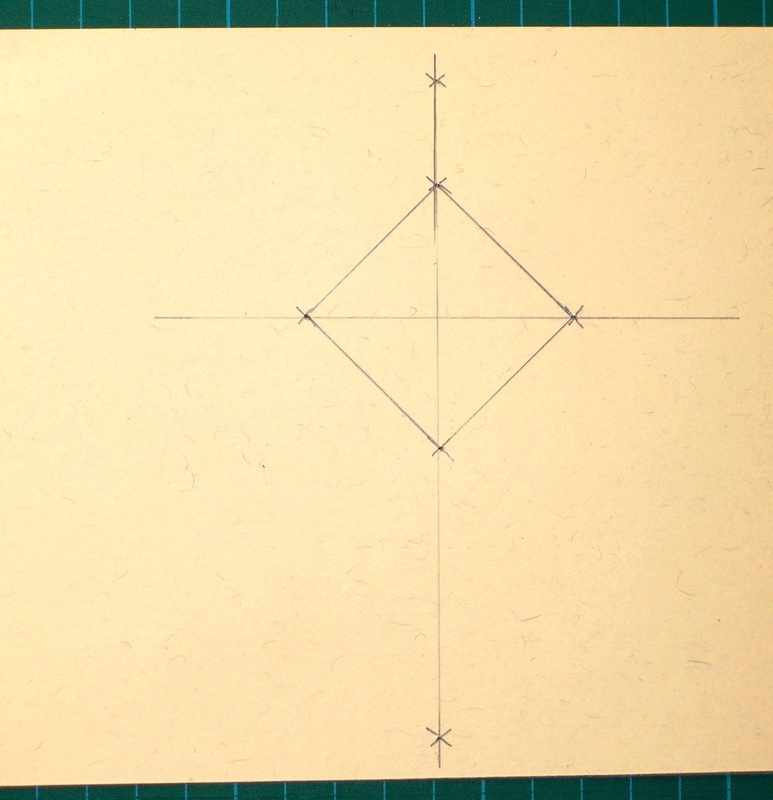 Small crossing lines have been drawn to indicate where to place your holes. 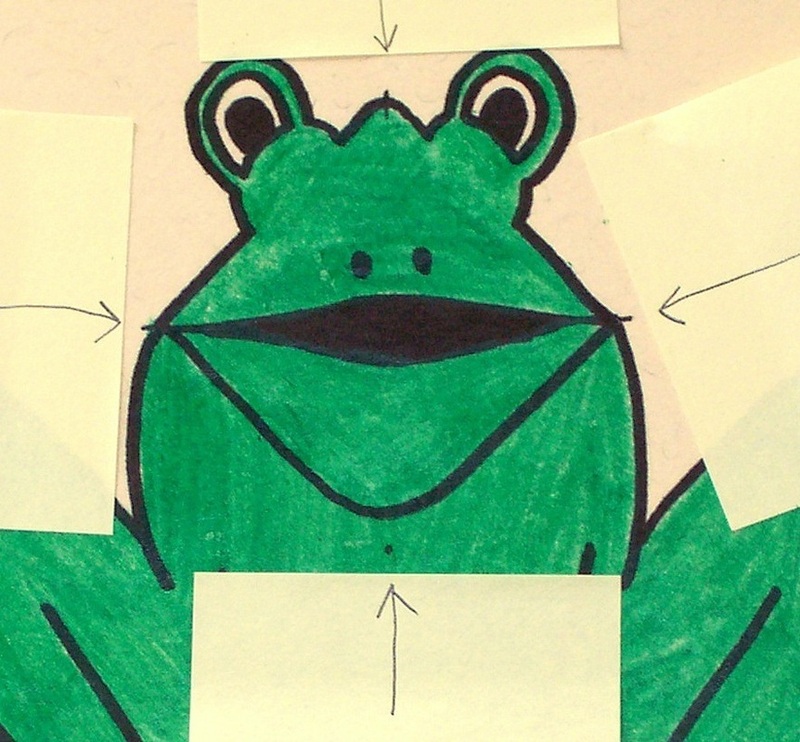 Pierce two more holes at the points on the border around the frog, indicated by crossing lines and shown in the image to the right. 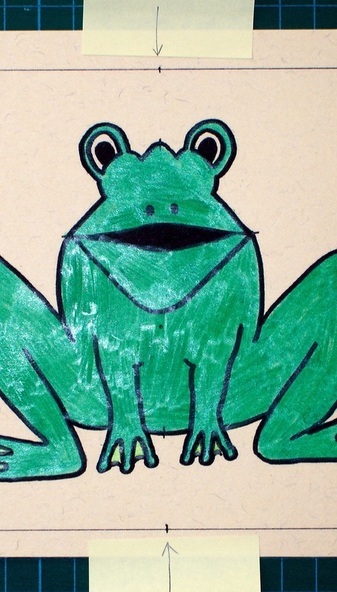 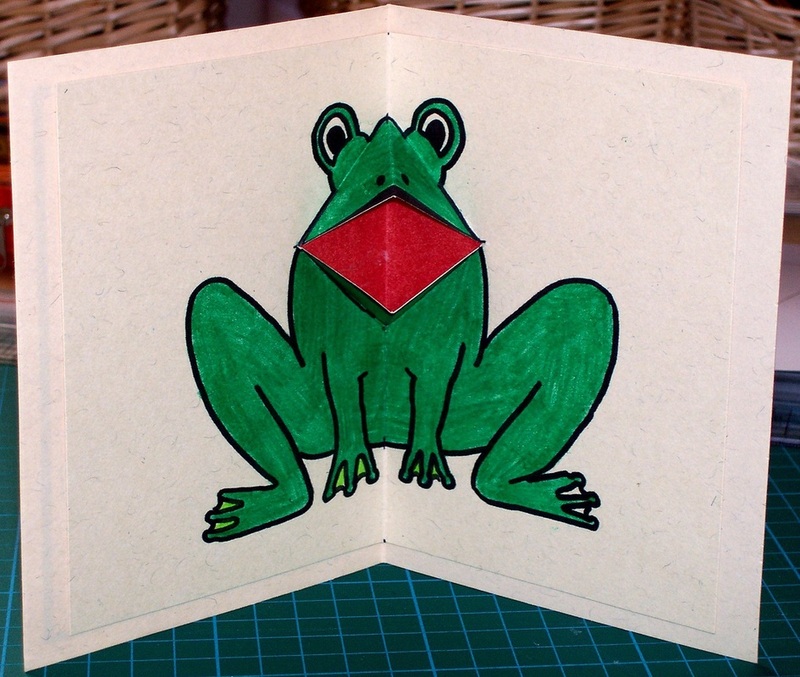 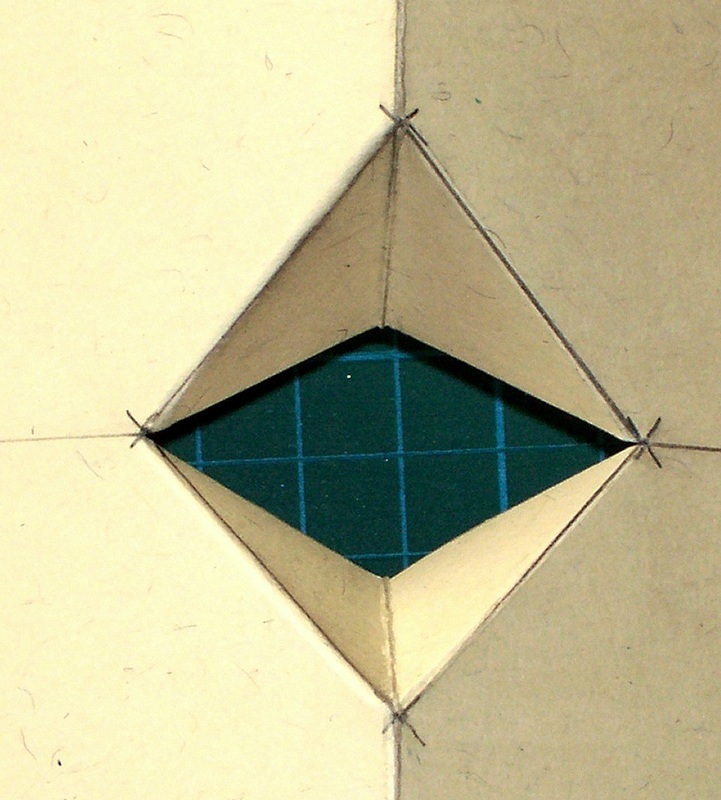 Open out the card, and using the folded lines as a guide, push through the folds to form the frogs mouth. 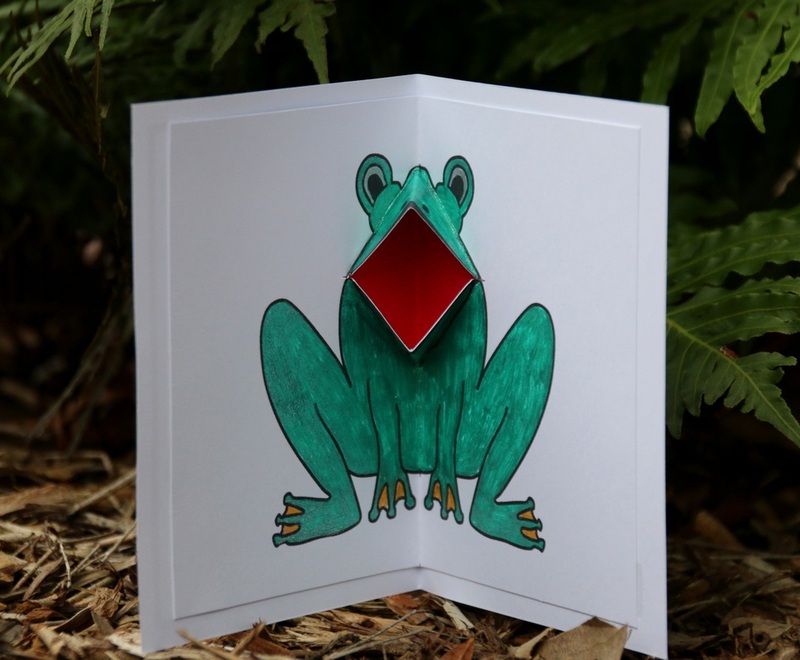 Place it inside your card to work out where you will need to adhere the piece of red paper (this will sit behind the mouth of the frog, and red will be seen when the mouth opens). 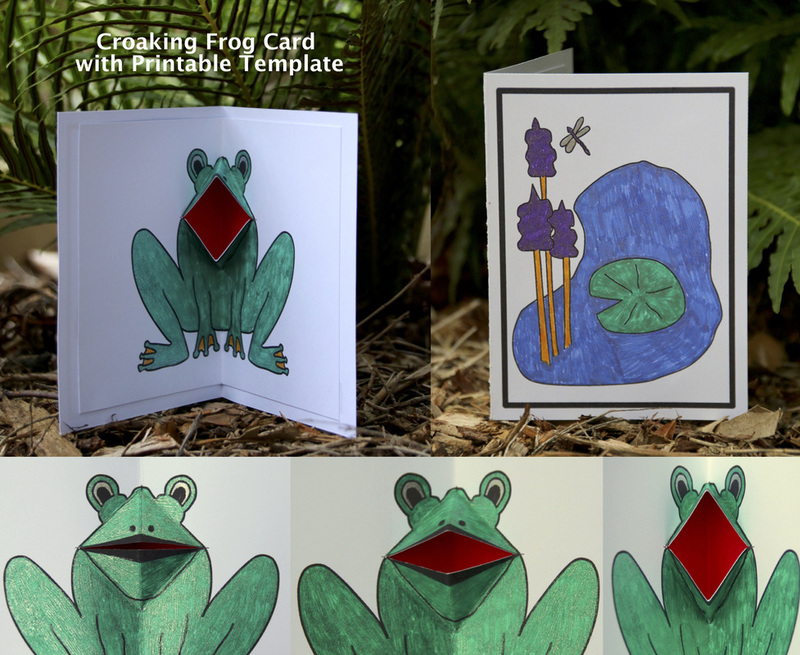 You don't want the red paper poke out from behind the edges of the frog card. 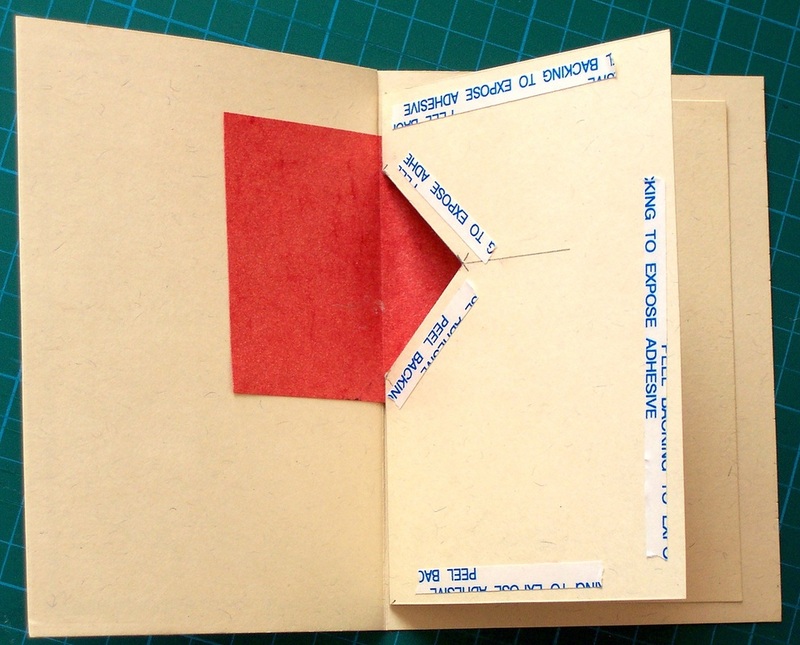 Step 9. 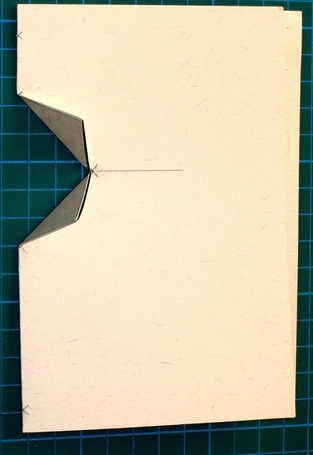 The border has been removed. 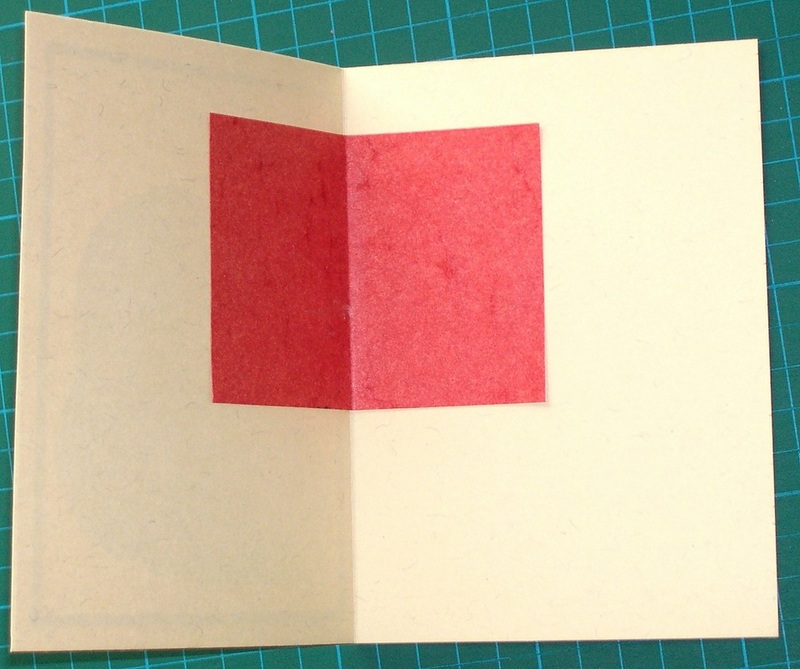 Positioning the red paper.